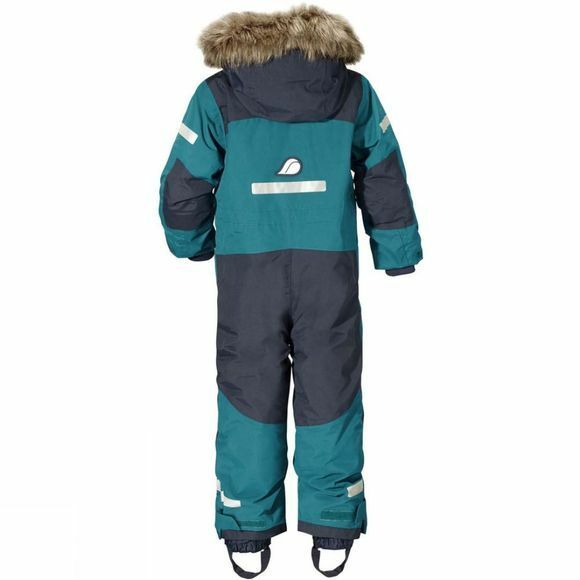 The Boys Björnen Coverall from Didriksons is a classic winter coverall in windproof and waterproof fabric with taped seams. It has two roomy front pockets and a smaller breast pocket, perfect for storing all the day’s treasures. The fabric is breathable and has a PFC-free water-repellent finish, plus reflective details for visibility on all sides. The hood is adjustable and detachable with snap fasteners and has stylish faux fur trim. 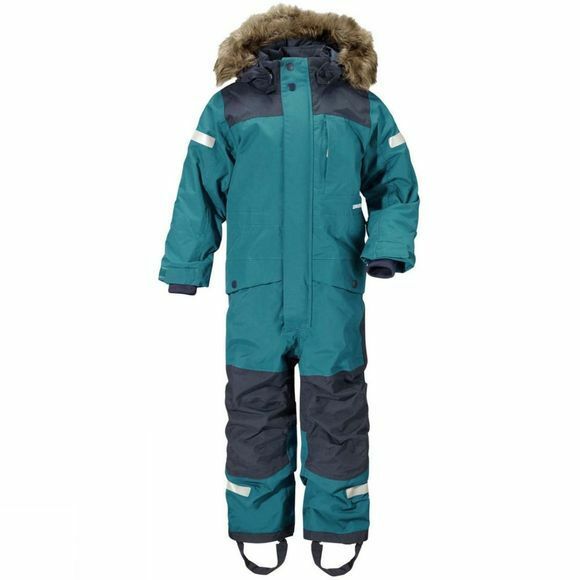 The coverall has a front zip concealed by a protective storm flap and a high collar with fasteners for protection from the weather. Björnen offers the “Extend size” function and the legs and sleeves can be extended by up to one size. The waist, cuffs and legs can all be adjusted for optimum fit.